TechBlade has always been dependent on the internet and signal strength is one of the factors not only in posting articles but also in its research. Experience has been founded on varying conditions whether it is in the field reporting about an event in real time, in the office and most importantly at home. It does not really matter what telco provider one has. But of course, one has to make sure that the signal from the telco is up to Service Level Agreement standards. But of course, no telco will tell the customer that their signal is weak in any particular area. But once the router has been installed, it is up to the customer to place the wireless router at the location where it is optimized. Strategic Location is mostly the key to having optimum wifi service inside one’s domicile. 1. Locate the router where there are no physical obstructions. – It is advisable that the location of the router have no obstructions between it and any device one is using. 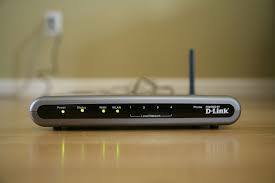 It is ideal that there is “line of sight” between the wifi router and the devices being used. If multiple device are being used, then the devices must be placed “around” the wifi router and no physical obstructions are present. An elevated location for the router is also advisable. Physical obstructions are concrete walls, glass panels, and even those that contain water such as aquariums. Also, keep the router away from any other electric emitting devices such as radios, TV sets and upon experience oven toasters, flat irons, rice cookers and electric airpots. 2. Connect to wifi only devices that are currently in use. – The bandwith is affected even when other devices that are connected to the router are idle. Stable connections are affected by unnecessary connections. 3. There are wifi repeaters available in the market to be installed in wifi deadspots in one’s residence. Inquire about such products from your current telco provider. 4. Check Router temperature. There are cases when performance is impeded when the router temperature increases. Have it checked if by the provider if this is experienced. Makati Science High School Ends 2017 with a Bang!